1) Select the currency pair EURUSD, time interval — 15 min (M15), just want to warn that the deals in this strategy are not often, on average, 07.04 per month. 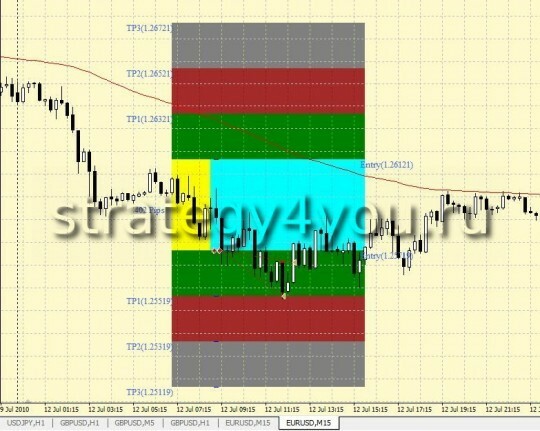 2) In this embodiment, forex strategy, a box is drawn from 6 to 8 to GMT! 3) On the schedule for EURUSD (M15) to add an exponential moving average EMA (100) — to apply to close. Next — colors of the coloring box, profit, etc. — leave as is! 1) Trading in the same way is only in the direction of the moving average EMA (100) and only 1 time a day! 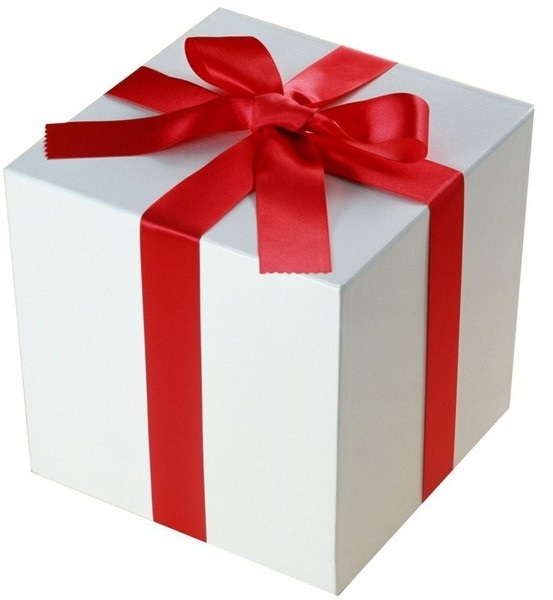 3) If the value of the box more than 50 points (500 for 5-digit DC) — the day just do not sell! Because value of the stop-loss is very great, and statistics on such days is better to miss. 4) Set on the border of the yellow rectangle 3 pending orders equal lots, only in the direction of EMA (100). 5) For issuing orders using margin — seven points for the Buy Stop and five points for a Sell Stop — this is already taking into account the spread. 6) If the pending orders are not worked up to 16 hours GMT, delete them and wait for the next day! 7) Stop-loss is equal to the price of the opposite side of the yellow boxes for all three orders! 8) Take-profit 1 — 20 points, take-profit 2 — 40 points, take-profit 3 — 60 points. 9) After the price will be 15 points — move the stop-loss of open positions to breakeven (ie zero) and set a trailing stop (can be standard or universal Metatrader 4 trailing stop) at the same distance (15 items) for all 3 open positions! 2) when trading on the forex strategy, I recommend to stick to CORRECT MANI MANAGEMENT, with the lot size should expect in view of the stop-loss by 3 orders! Warning: LED and templates needed to unzip the first! В комплекте вы получаете настройки по 2-м вышеуказанным стратегиям !!! 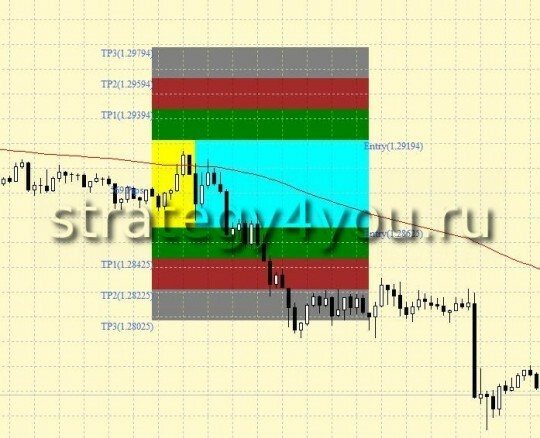 Other 20 Forex Strategies Categories "SIMPLE forex strategy"